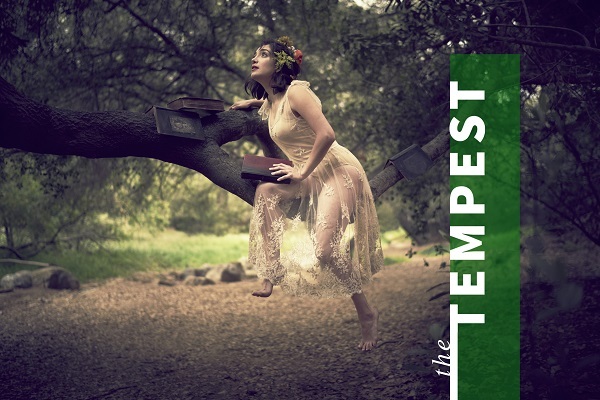 Magic, first love, and the forces of revenge intersect on a mysterious island in The Tempest. Prospero has spent 12 years on an island in exile with his daughter, Miranda, all the while plotting to punish his duplicitous brother using sorcery. But when the opportunity presents itself, he learns that magic doesn’t make the man, the world is stranger than it appears, and that perhaps the past is only history. In addition to Thom Rivera in the role of Prospero, the cast includes Joseph Culliton (Alonso), William Elsman (Sebastian), Lorenzo González (Trinculo), Faqir Hassan (Antonio), Rudy Márquez (Boatswain), David Melville (Stephano), Sean Pritchett (Caliban), Lester Purry (Gonazlo), Evan Lewis Smith (Ferdinand), Erika Soto (Miranda), and Kalean Ung (Ariel), with Patrick Batiste, April Fritz, Jack Lancaster, Tatiana Louder, Nathan Nonhoff, and Stephany Pesta as Sailors, Passengers & Spirits. Season production design is by Caitlin Lainoff. Season lighting design is by Bosco Flanagan. Costume design is by William Bezek. Composer and sound design is by Chris Porter. A pre-show Salon Series discussion led by the director will take place on Sunday, July 31 at 6pm.